Competing hypotheses have been forwarded in the last few decades about behavioural factors governing the technological choices of Acheulian LCTs makers and how they may have affected the morphology of bifacial tools. Hypotheses range from those asserting that Acheulian knappers used expert cognition and fore-planning to impose form on a wide spectrum of raw materials (i.e., mental template hypothesis) to hypotheses suggesting that the final shapes of LCTs are the mechanical outcomes of reduction intensity and the impact of raw material size, form and quality. Consisting of several stratified localities in an extensive spatial context, the Melka Wakena site complex presents an opportunity to explore patterns in the technology of Acheulian LCTs production through time. 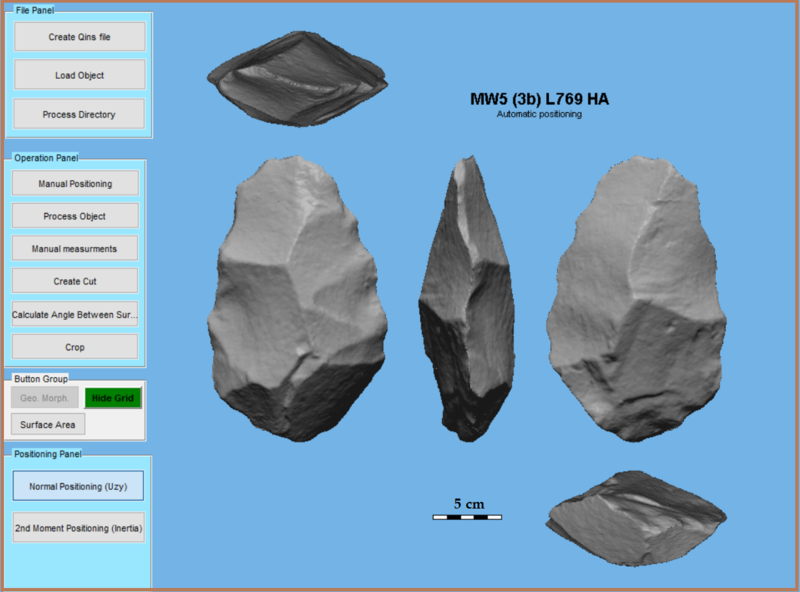 Here we focus on two bifacial tool types – Handaxes and Cleavers – to evaluate the influence of technological procedures, reduction intensity and raw material characteristics in determining the final shape of the bifacial tools. We present a technological study of these two tool types in stratified assemblages, examining the shape, size and raw material trends across time (from 1.6 Ma to ~0.7 Ma) on inter-and intra-site scales. 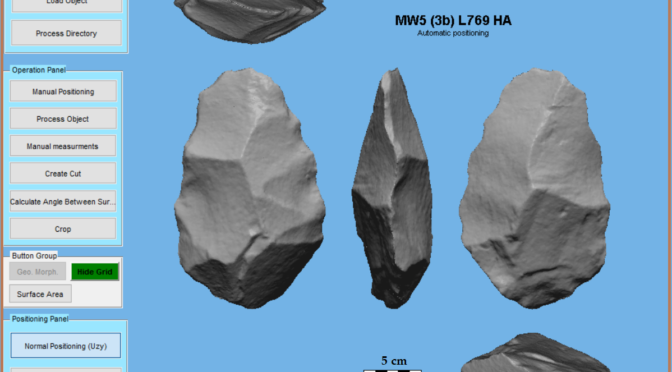 Results show that raw material selection for these tool types was nearly identical across time and space in the MW sites, yet there is no clear co-variation between technology (blank preparation, selection and shaping) and morphology of the bifacial artifacts. Broader comparative studies with other contemporaneous African sites promises understanding of parameters of decision-making procedures governing the production of Acheulian LCTs. Tegenu Gossa is a PhD student at the Institute of Archaeology of The Hebrew University of Jerusalem. His research project revolves around the Early Acheulian lithic technology and he is currently investigating (as part of his PhD research project) the newly discovered Melka Wakena Acheulian site complex situated at the head waters of the Wabe Shebelle River Basin.